For a Real Good Time, Click Here! Click Here Too...It's Really Cool! Emily up on Janet's belly. 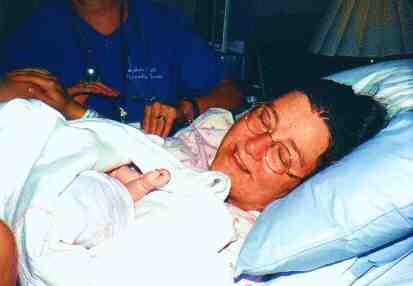 Satisfied Janet, with her new baby. Just a quick check under the hood. Chris gets a little papa bonding. 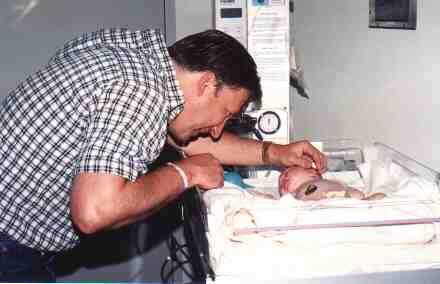 Here are some pictures we took at the hospital the night that Emily was born on July 14th, 1999.